Over the years, I’ve consulted with organizations large and small and across industries more diverse than I can even remember. The one thing that has always been a constant though is that the people who define their strategic intentions always achieve greater results than those who don’t. This may seem like a simple concept. Well, it is! If you don’t know where you’re going, then you are far less likely to ever get there. As I tell people all the time, it’s actually dumb luck and circumstance that produces your outcomes if you aren’t mindful about them yourself. One of the most effective ways I’ve seen business leaders establish clear goals is to use the SMART goal framework. SMART is a mnemonic that has been used for more than 30 years now to guide people in defining their strategic objectives. It is a clear and consistent approach that can work for anyone in an organization and therefore can keep everyone aligned – and inspired! – throughout the year. 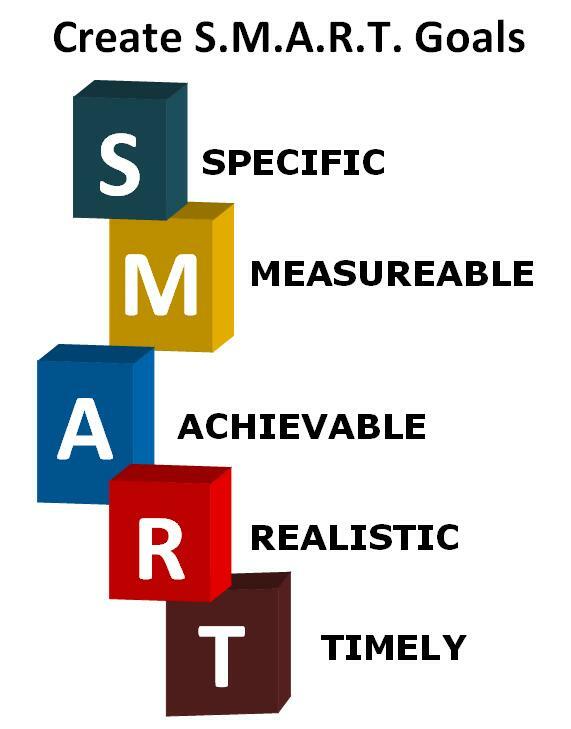 SMART stands for Specific, Measurable, Achievable, Realistic, and Timely. Please read on for more complete descriptions of each SMART element.